PS Engineering can provide you with electric gates, or fit you existing gates with a automated system allowing them to open and close with the aid of a remote control. Your property will be secure and you will have access without even having to step outside of your vehicle. Having electric automated gates will give you peace of mind that your home is secure. Automated gates will open when you push the remote control. They will close behind you and because of their mechanism are extremely difficult to force open. They are a deterrent to burglars, and will make anyone think twice before approaching your property. Automated gates are not complicated to use. Once fitted they can be operated by a remote control from up to 20m away. You will have no need to step out of your car to manually open and close your gates, meaning you will be safe, warm and dry even on the most blustery of days. You can also get more than one remote for multiple cars and a control panel which will allow you to keep track of visitor who arrive. PS Engineering design gates that are beautiful and durable. The steel used for each gate will be able to endure our Northern Irish weather and can be powder coated. Our gates can also be supplied in a range of colours. 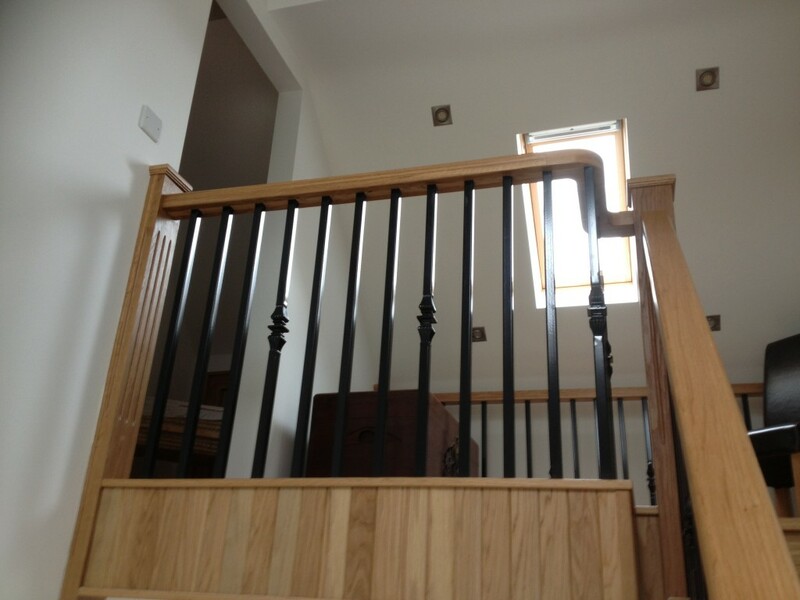 PS Engineering will also be able to provide matching railings for surrounding walls etc. Our team are professional and hard working and want to give you, the customer, exactly what you need for your property. 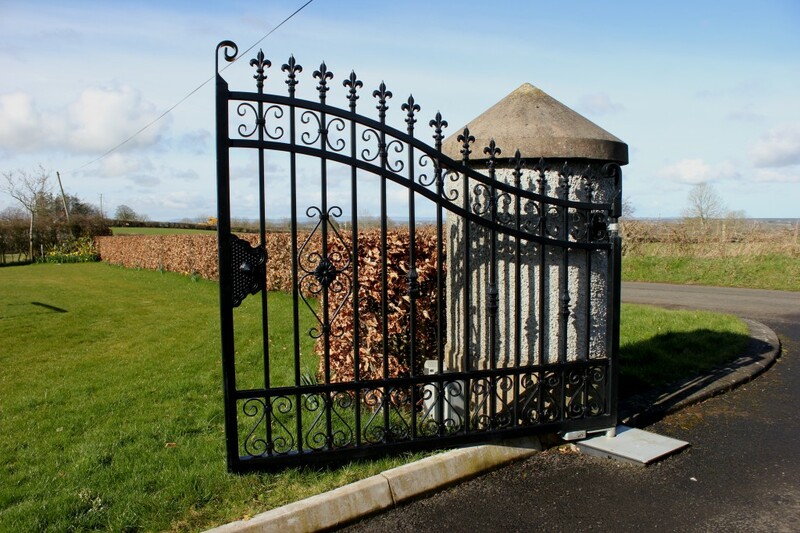 If you are interested in having your gates designed, manufactured and fitted by PS Engineering then give us a call. We are here to help talk through what you need and then the PS Engineering team can start work on your new gates. 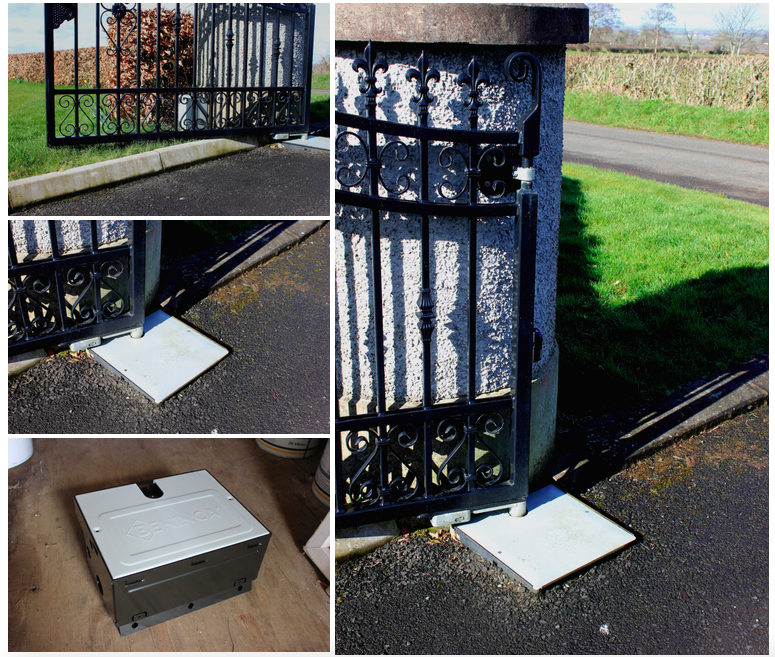 PS Engineering work throughout Ballymoney and the whole of Northern Ireland. 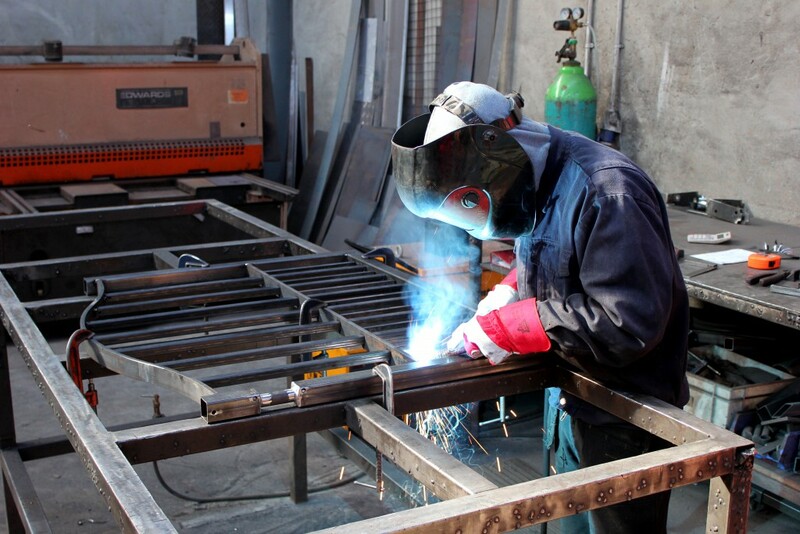 PS Engineering Ballymoney have over 14 years’ experience in quality metalwork. At PS Engineering we use the latest technologies, our professional team take pride in delivering an outstanding product to our customers. 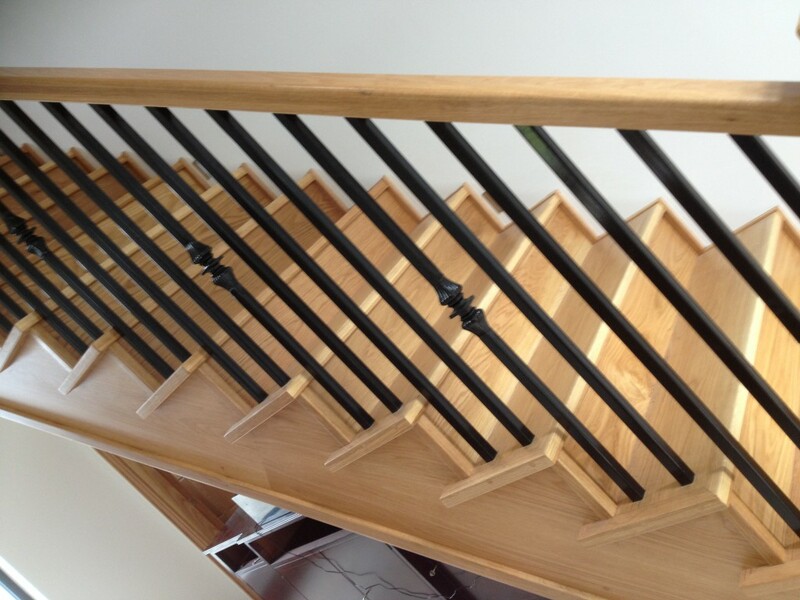 PS Engineering specialise in the manufacture and installation of Railings, Handrails, Staircases and Electronic Gates. We know that everyone has individual needs and that is why we listen to our clients needs and design to their specification. Our design service will mean that whatever you get will fit perfectly and be unique to you. If you don’t need a unique design them talk to our team and they will show you our existing designs – we have a huge selection which you can look through. Here are few examples of our work to see more just browse around our website. 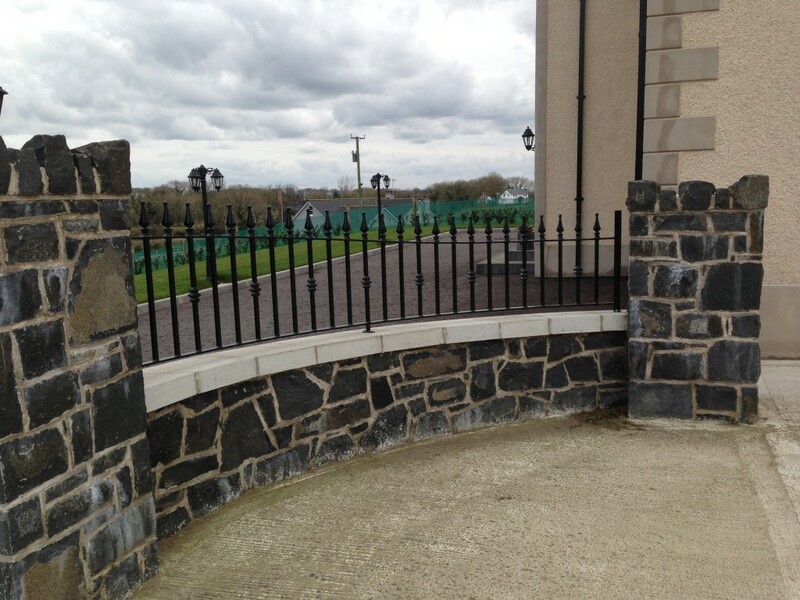 If you are looking for a company to provide you with Railings, Handrails, Staircases or Electronic Gates they give us at PS Engineering a call on 02820 741 780. 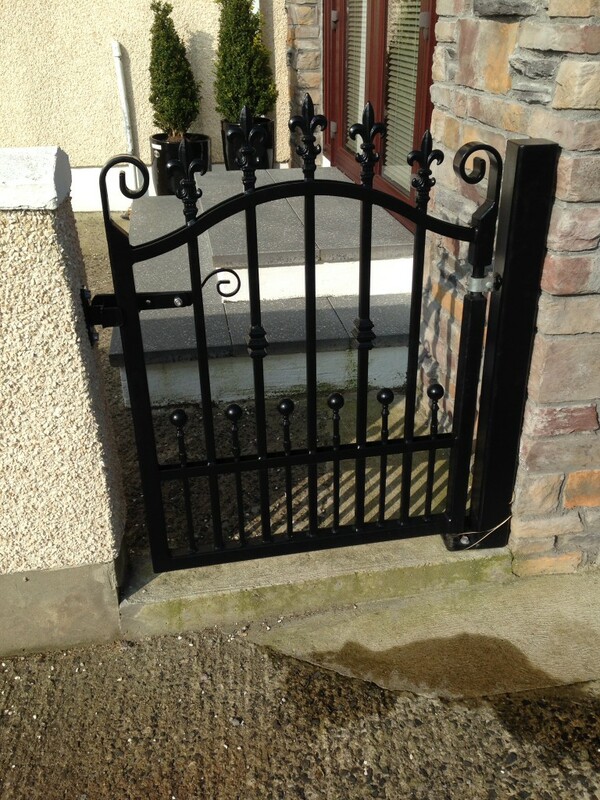 PS Engineering, based in Northern Ireland, can design, produce and fit any metal gate you need. Any size, shape or colour. The gates are made in their workshop outside Ballymoney. PS Engineering pay attention to all your design requests and the little details. Like this gate below which features a beautiful fleur-de-lys design. This gate was custom made to fit the small opening at the side of a house. Spears and other decorations can be added too. If you aren’t sure what you want then get in touch with us and we can explain all your options. PS Engineering then can carry out all the galvanised and powder coating. Powder coat finishes are available in any lots of differetn colours. Click here to see the full RAL colour range. Our most popular colours are satin black RAL 9005 and British racing green RAL 6002. 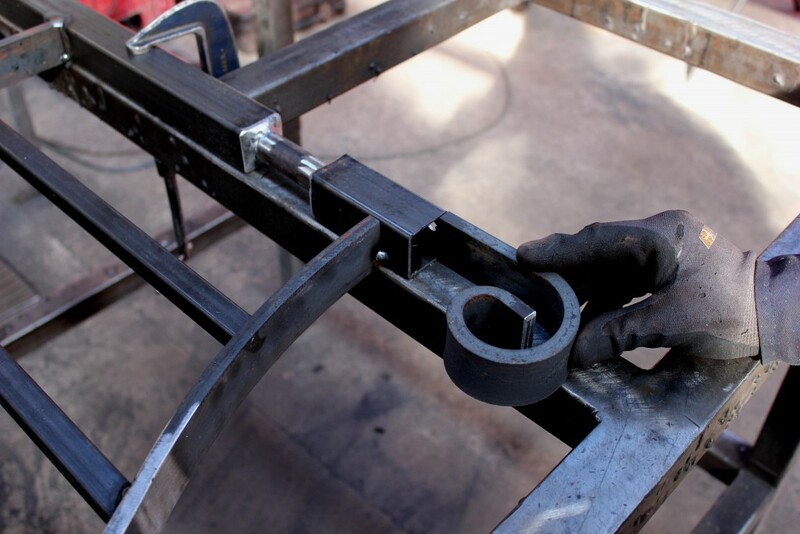 Galvanising means that your gate is protected with a zinc coating which will to prevent rusting. 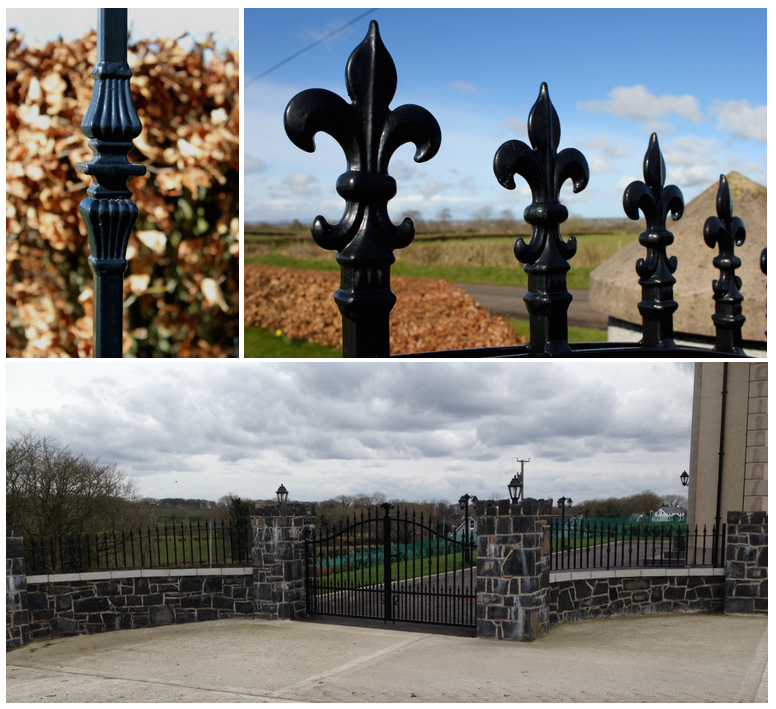 The powder coating gives you a high-quality finish and is ideal for finishing your gates. It gives a much more durable finish than normal paints and it looks great. It will weather all seasons and reduces the risk of scratches, chipping, abrasions, corrosion, fading, and other wear issues. If you are interested in having your gates designed, manufactured and fitted by PS Engineering then give us a call. We are here to help talk through what you need and then the PS Engineering team can start work on your new gates.